Our extensive range of workshop equipment is built to last by skilled UK manufactures, with a vast selection of workbenches, desks, packaging equipment and accessories. Our practical work desks are ideal for workshops and factories for writing, planning, drawing and instructing. 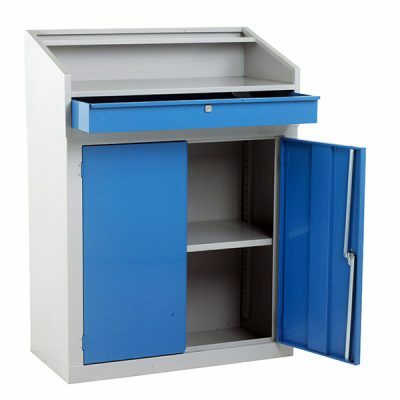 With lockable shelves and drawers, these steel constructed work desks have added security and are ideal for storing tools, writing materials, folders and more. Keeping workshops tidy and organised. We stock an assorted selection of workbenches suitable for use in garages, workshops, or industrial settings where a working surface and tool storage is required. Our range includes heavy duty, mobile, stainless steel, folding, cantilever frame, antistatic, cupboard, and easy order workbenches. Step and Store are the UK’s leading supplier of workshop and workbench equipment. With over 4,000 online products all custom built to order with fast despatch. British manufactured, to the highest standards using quality steel, aluminium and timber frames guarantees quality and satisfaction. We understand having a comfortable, safe and secure place to perform daily tasks increases productivity and positivity in the workspace. As the equipment is built to order, we can ensure a perfect fit for the workspace whilst being competitive without compromising on quality. With a variety of designs to suit all budgets, spaces and surface requirements. Our range of easy to order workbenches, packaging systems, and work desks are ideal for garages, workshops, industrial warehouse, factories and domestic settings. Workbenches provide a key role in the workspace and we understand that the one size fits all method must evolve to suit specific requirements. We offer an assorted range of heavy duty, mobile, stainless steel and folding benches. 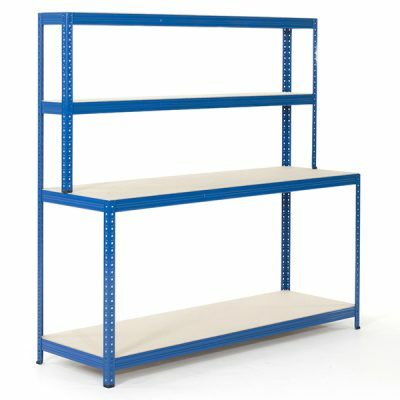 Which include 4 leg frame workbench, antistatic cantilever black fireboard with the capacity to hold 400kgs. 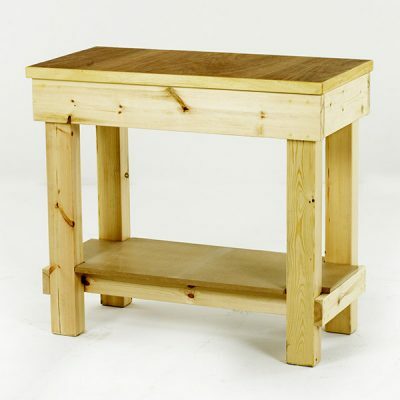 The benches include under storage and accessories that are free standing or mobile. 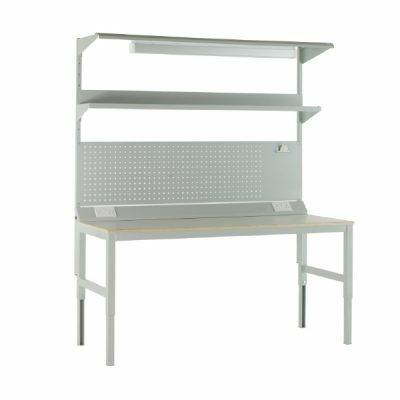 Easy-to-order workbenches are convenient and hassle-free, with tool storage for efficiency and safety whilst working. 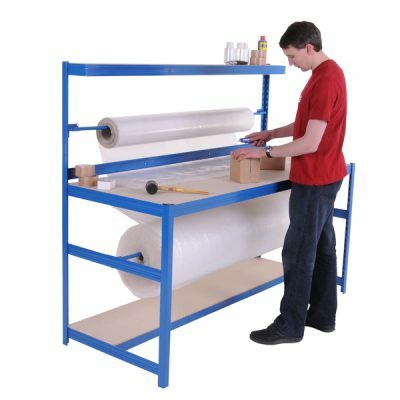 Our packaging benches are ideal for workshops, warehouses and distribution centres. They are also perfect for retail and DIY workspaces as they come in a variety of sizes which are all made to measure by our bespoke design service team. Our workshop and workbench equipment are quality checked by our expert team before it leaves the factory floor. 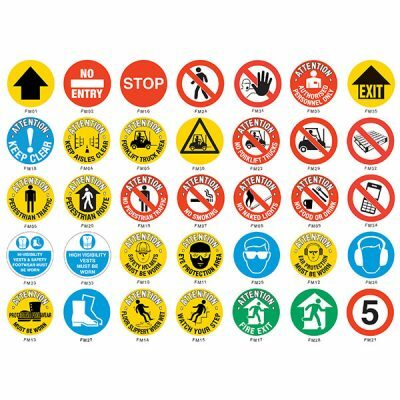 We work closely with logistic managers and health and safety officers to ensure that working in close proximity to industrial equipment and machinery is safe for your workforce and items. Our range also allows for Louvre panels to be fixed so plastic storage containers can be hung to the area for easy access to smaller items when assembling. Can’t find what you’re looking for? Why not speak to our expert advisors today on 0844 576 8722 or fill in the contact form.